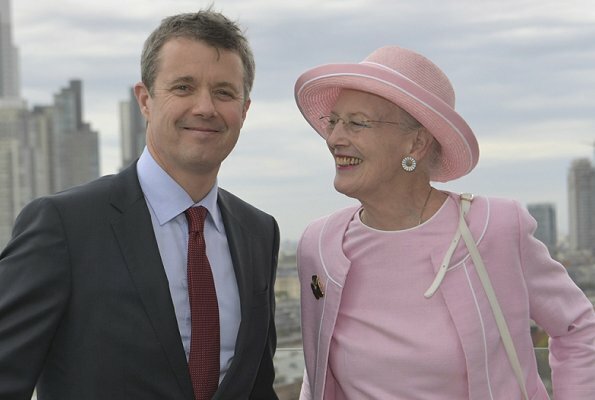 On the second day of their visit to Argentina, Queen Margrethe and Crown Prince Frederik attended the opening of a business conference with Danish and Argentinian companies. 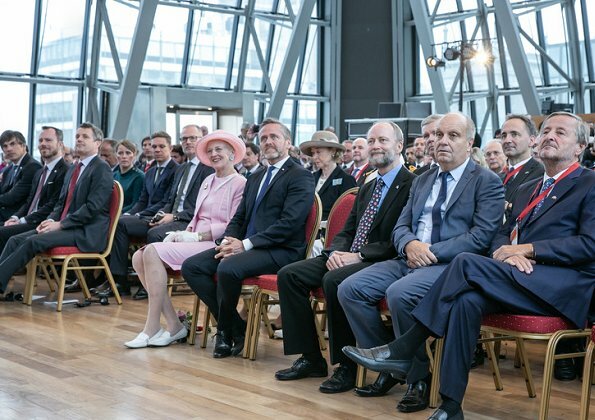 Queen Margrethe gave an opening speech at the conference. 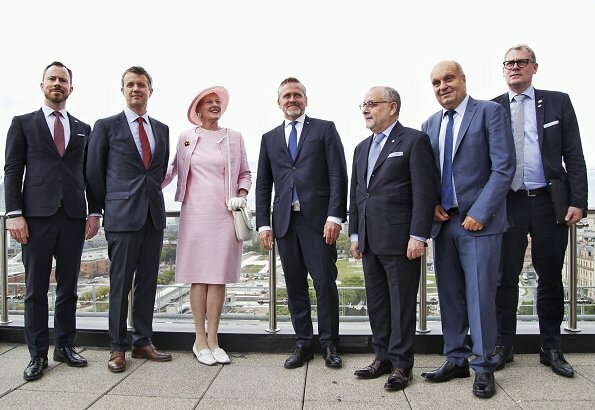 Next, The Queen and The Crown Prince visited the stands of the Danish companies at the business conference. 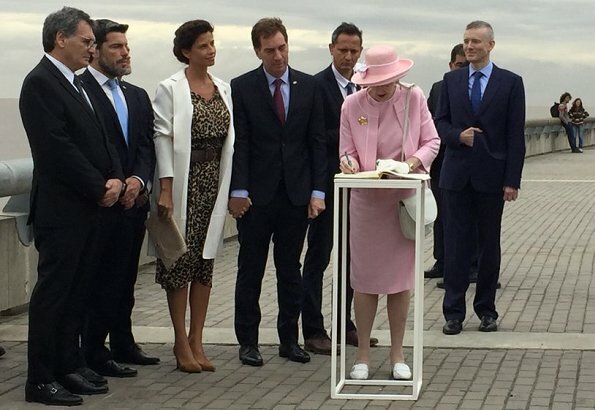 The Queen visited Parque de la Memoria, a memorial park. 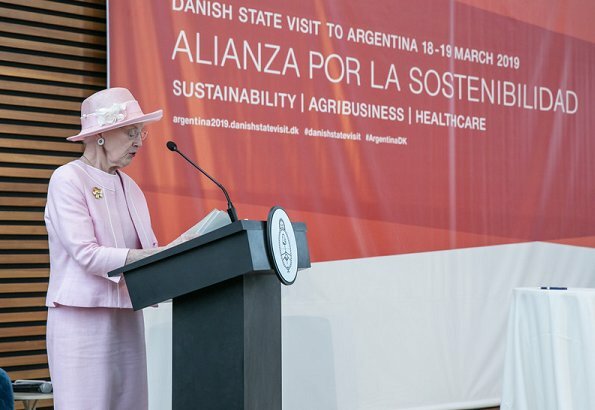 The Queen visited the Danish senior living center Hogar Danés. 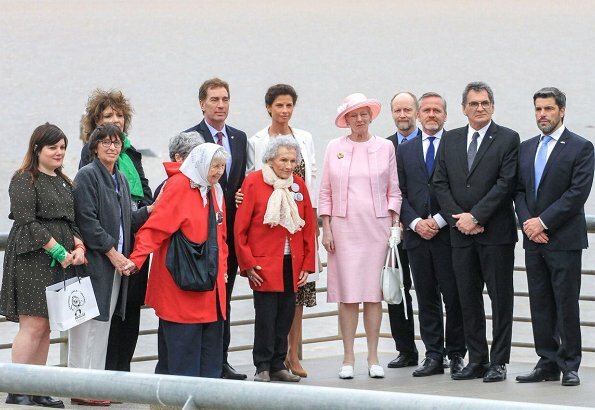 There, The Queen met with a number of Argentinians who have Danish ancestry. 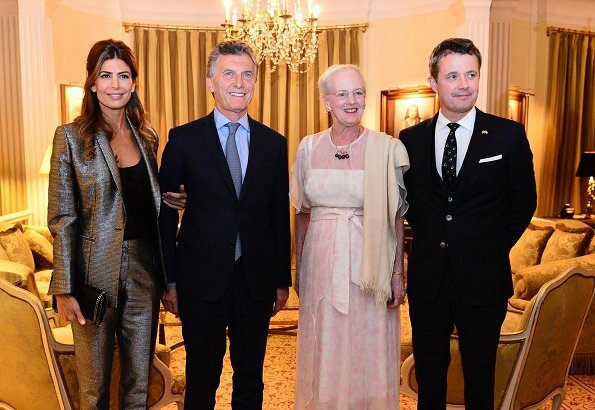 Afterwards, The Queen visited the opera house Teatro Colón, which is among the best opera houses in the world. 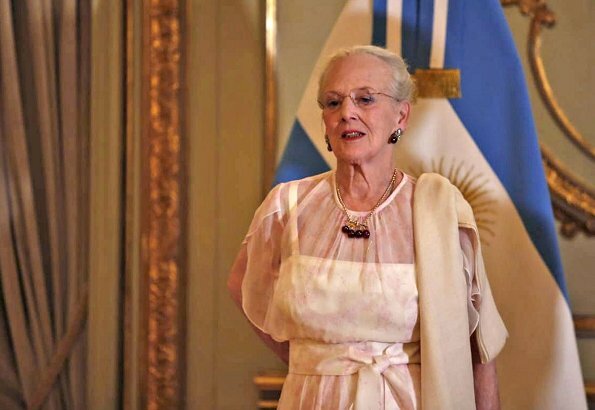 On the evening of March 19, 2019, Danish Queen Margrethe and the Crown Prince hosted a gala dinner on the occasion of their state visit to Argentina. 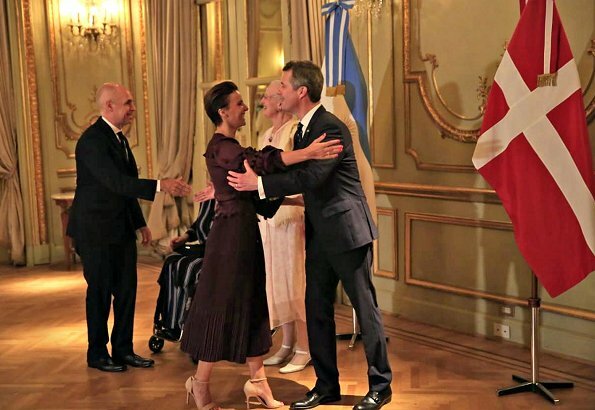 The Queen invited President Mauricio Macri of Argentina, his wife Juliana Awada, official representatives from Denmark and Argentina, and many participants from Danish-Argentinian business conference to the gala dinner. Agree! She looks so lovely! Agree with Violet and Coralie. 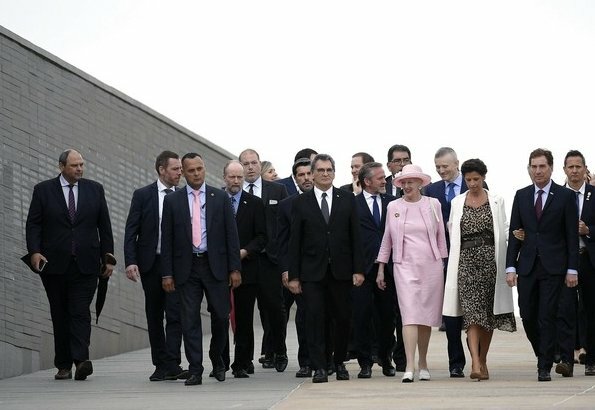 It looks as if she has rather extensively reniewed her wardrobe in connection with this visit. 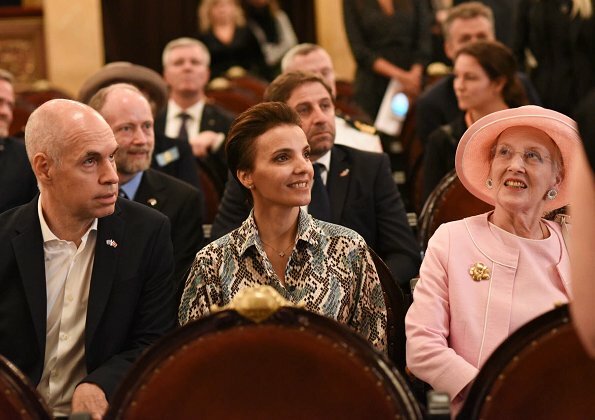 I'm sure she is great queen and very nice lady, but in fashionwise, there is nothing to tell about. She comes across as one with a beautiful spirit and I think it is safe to say that clothing, seasons, etc is not that big of a deal to her! 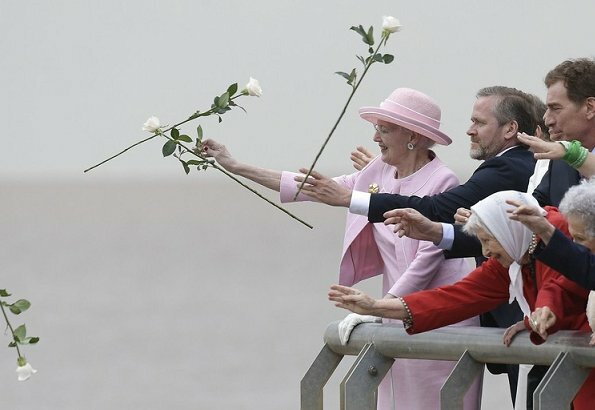 The Queeen looks real lovely. 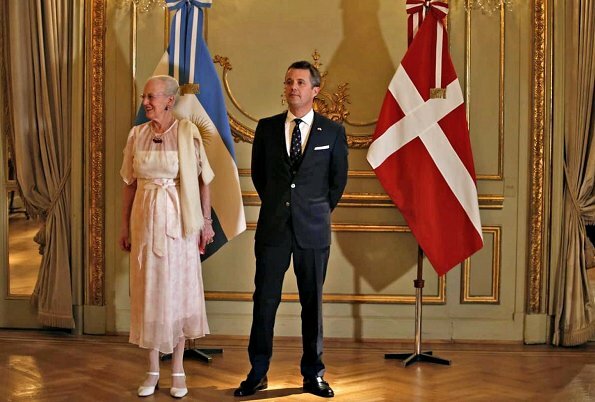 She seems to have a little fun on this State Visit too. Good for her. Nice that the CP joined her on this long trip. 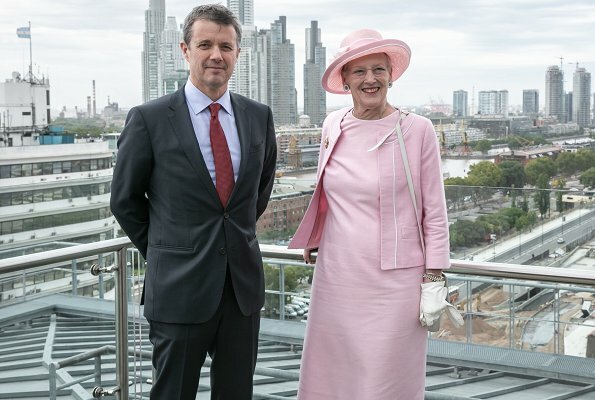 Considering how flamboyant she can be with some of her evening gowns she has worn in the past (and she looks good in them, complete with poise and attitude to wear them) I find this pink evening dress extremely underwhelming. I like the idea of the light overlay on top of a sheath in light of the warm weather, but perhaps if it had all been full length instead of midi it might - might - have looked better. The short shawl hanging over one shoulder looks like she was in the middle of doing some dusting or housework. 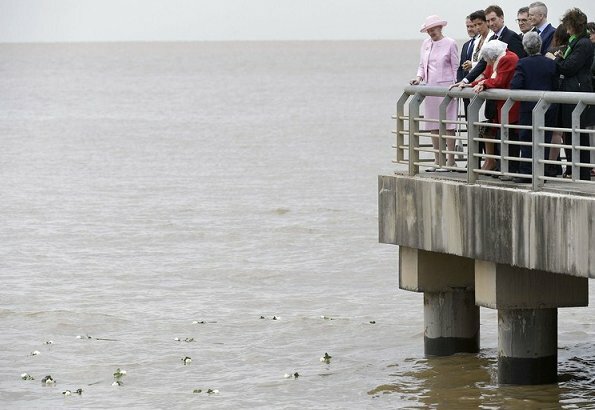 A rare miss for this otherwise elegant, regal lady. 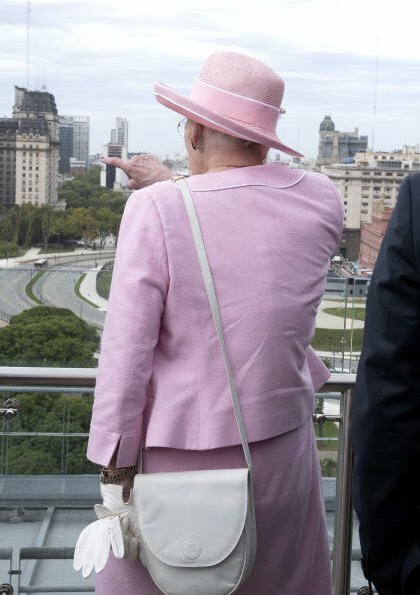 I like the pink day outfit--lovely and spring like and looks great on the Queen . I do not like the colourless evening outfit, especially the towel hanging over one shoulder. Why? It's great to see her looking so happy and enthusiastic on this tour.